Markets still continue frustrating most investors. The October sell off took most by surprise. Post the initial bounce, US markets have continued trading inside a big and volatile range, but nevertheless a range. Headline risks continue, be it: Huawei, G20, Macron or the Fed. Trading volatile ranges is a delicate art. Most investors tend to get caught up digesting the latest piece of news and are often triggered to reshuffle positions as short term momentum ignites. Over the past weeks there has been plenty of reasons to believe the range will be broken, both up and down, but the range has held. SPX is once again trading rather close to huge levels. 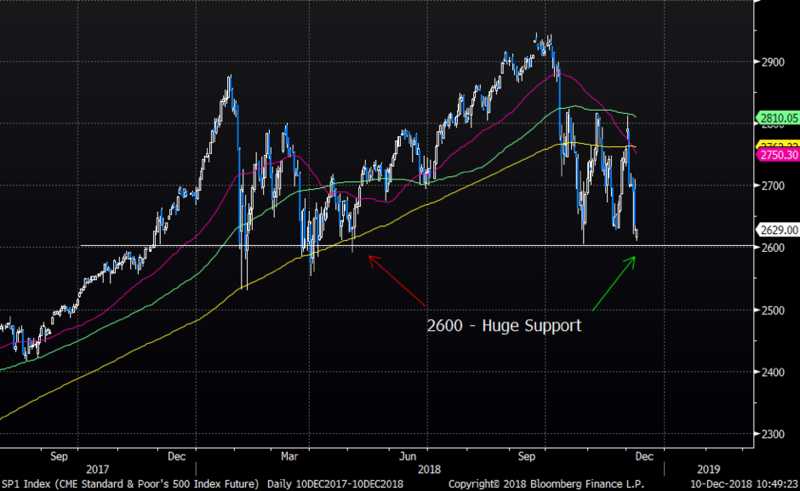 2600 has held as support many times over the past year. With Christmas coming up, liquidity to dry up soon, we will watch this huge level closely. Being bearish here seems rather mainstream, and it feels almost an eternity we traded above the 2800 level only 4-5 days ago. 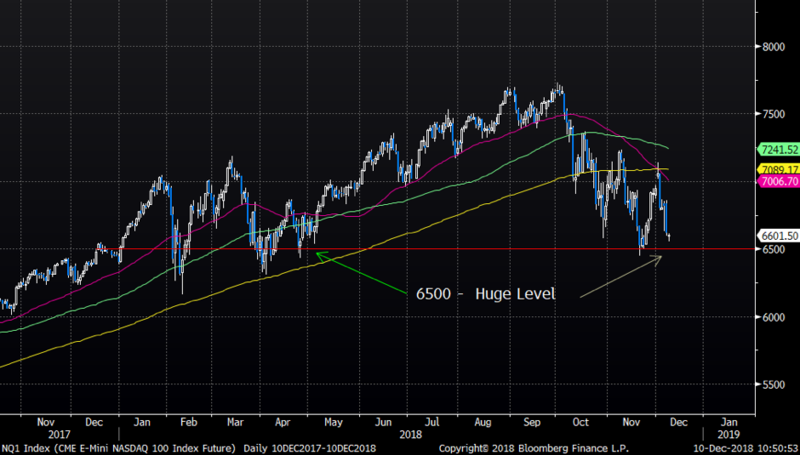 NASDAQ has closed in on the huge 6500 level. Tech trades awful, but the index is down 7.5% in 4-5 days! Pushing the bearish break out here seems a little late. 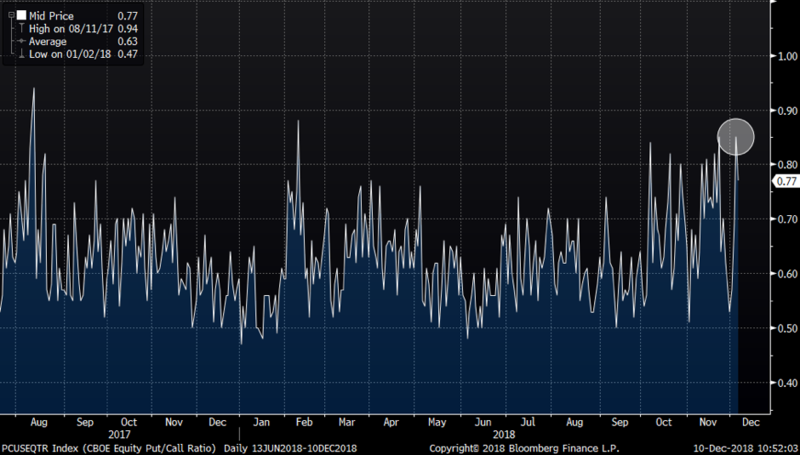 As equities have been selling off hard over past days, the CBOE put call ratio has once again spiked higher. As we have shown many times before, short term break downs seldomly occur when investors have been loading up on protection.